Nobody likes hoards of insects in their home or garden, but the repellents used to deter them often include harsh chemicals that are dangerous to humans and animals. Before you start dousing your home or your clothing in hazardous concoctions, here are some natural remedies to repel annoying pests. Put the lavender, lemongrass and vodka in the spray bottle. Add water into the spray bottle. Spray the mixture on troublesome sites around your home. Or spray it directly onto your skin to repel bugs. Blow up a lunch-size brown paper bag. Tie one end of the rope or twine around the top of the bag. Suspend the bag from a tree branch. It will look similar to a nest and wasps will think that the territory has already been claimed. Select a paint color for the exterior of your home and purchase it in 5-gallon containers. Purchase a pint of NBS-30 paint additive (the ratio of NBS-30 to paint should be one pint of NBS-30 for every five gallons of paint). Put on face mask, safety goggles and gloves. Mix paint and additive in a large plastic tub. 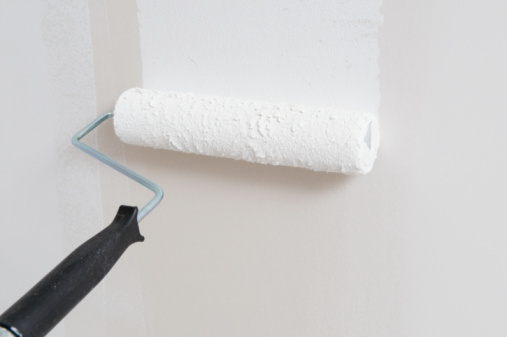 Use a roller brush to paint the walls of the house. Use a smaller brush to paint the trim and around the windows and doors.